Add 'experiential' in front of almost anything and more than likely you'll catch the attention of most millennials in the room. It's often called out that the millennial generation is the one leading the experience economy, but it's not just twenty-somethings that have that mindset. In fact, according to Acosta and Technomic, most diners eat out for the restaurant experience. 66% of U.S. diners view mealtime as a valuable time to connect with family/friends, 65% love trying new restaurants, and 63% enjoy the social aspect of dining out at restaurants. For millennials and other groups, spending on dining out has increased significantly over the past two years. While the benefits and strives technology has enabled in the 21st century are innumerable, this shift has also brought new challenges to light for generations across the board. The need for spaces to proactively foster human connection and disconnect from constant technological stimulation is a challenge facing today’s modern world. The restaurant industry is built on food, but it has the opportunity to thrive when paired with this mindset of an experience economy. A restaurant can be a place to eat a meal, but it can also be a unique opportunity to build memorable experiences: a rare time to disconnect from work and technology, spend sincere time with friends and family away from a glowing screen, build knowledge of cultures outside of your own, or enjoy an evening of entertainment. In an age where so much of the public conversation is built on the digital world, a unique and inviting experience can help drive business to brick and mortar locations and serve as a space built for connection. Here are a few tips and tricks to help build experiential dining in your restaurant. Whether you specialty is craft cocktails, you’re known for the best burger in town, or your guests rave about your filet mignon being the most delectable money can buy, each restaurant concept offers an opportunity for guests to have a one-of-a-kind experience. With so many unique restaurant ideas out there, it’s important to hone in on what you do best. If your menu features recipes passed on generationally from your family in Texas, own that. Your restaurant built on Southern comfort food shouldn’t try and tell the same story as the classic French restaurant across town. Your brand is the starting point of your story. Once you own that, it’s time to establish what will differentiate you from the competition. How will you stand out? There are countless ways to create an experience that can enhance the food in new and exciting ways. There are restaurants going all-in on a theme, such as a murder mystery dinner. And then there are those that completely craft your meal to you and your life, creating an unbelievable story through your meal. Some restaurants go above and beyond in their efforts to give back to the community, some build hype by creating extreme food challenges, and others highlight local talent on staff with dinner and a show. From color schemes and furniture choices to background music and lighting design, each choice made in your restaurant can help you craft an inviting environment. For example, table choices can say a lot about the experience you’re trying to create. Community tables are an option that may invite your customers to interact with one another. A bar or brewery hoping to create a fun, competitive spirit may choose ridged tables optimal for hosting board games. More private or intimate seating may be ideal for extremely personalized meals. The ambiance you’re trying to create with all of these selections provides a backdrop to your restaurant’s experience. Don't forget tip #1: make choices that reflect the character of your brand. Although user experience design is a term that is often used when building software and digital experience such as websites, its key concepts can also be applied to physical locations. When you think about the journey of dinner out at a restaurant, each interaction throughout the evening is part of a grander experience. From walking in the door and being seated by the host, to ordering your food, to then enjoying your food, and finally paying the check and leaving for the night, each touchpoint is a possible point of tension for the customer if the experience is not well thought out. When building out your restaurant concept, think through these pain points through the lens of your customers. If getting the check and paying in a timely manner has been a problem before, consider tableside POS tablets to streamline the process. Having trouble keeping track of special requests and modifications, causing an interruption to the guest’s experience? Maybe it’s time to upgrade your technology to support greater control over those details. Create an Instagram account and start tagging your location in photos. Next time someone falls in love with your decorative lighting or can’t help but share their beautifully plated meal, they’ll have the opportunity to tag your location and your account, providing awareness to all of their followers. Take just a few hours a week to maintain your Facebook account. A gracious “Thank you for coming in!”’ on a 5-star review and a "We hope to see you again!’” on a post featuring your restaurant can go a long way on your customer’s social feed. Create a referral program to share with happy customers. Hand out coupons (email or print) that will allow them to redeem a reward when they come back with a friend. Now that "Oh my gosh - I just had the best meal of my life! !” text won’t go to waste. How Do You Craft an Unforgettable Restaurant Experience? 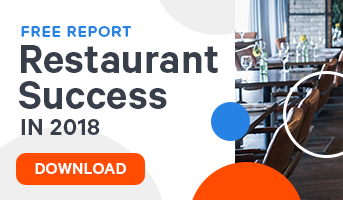 With some strategic brainstorming, you can uncover insights and ideas for the boost you need to make your restaurant stand out from the crowd. Attention to detail and a little creative thinking can help make it memorable for the customer and industry alike. What are your tips for crafting a great restaurant experience? Comment below!